For the first time in their celebrated three decade career, Melbourne instrumentalists the Dirty Three will perform their self-titled 1994 debut album in its glorious entirety, at a very special one-off show in the epic Concert Hall. Exploding onto the local scene in the early 1990s, violin player and multi-instrumentalist Warren Ellis, guitarist Mick Turner, and drummer Jim White established a reputation for their fiercely original, shapeshifting arrangements that mixed cacophonous feedback, soaring melodies and unusual instrumentation, captured in their seminal Dirty Three record with tracks like the propulsive opener “Indian Love Song” and yearning, pastoral “Kim’s Dirt”. 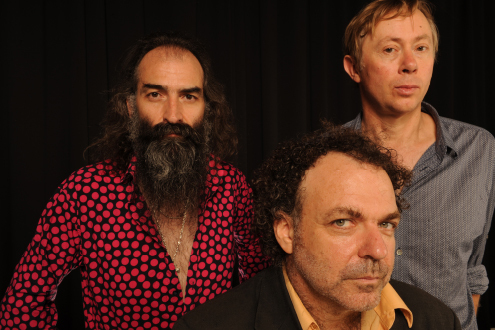 Join Dirty Three for one of their notoriously combustible live shows. Experience White’s spectacular drumming, Turner’s perfectly modulated guitar, and Ellis’s virtuoso violin freak-outs, often accompanied by the latter’s surreal stage banter and strange tales.